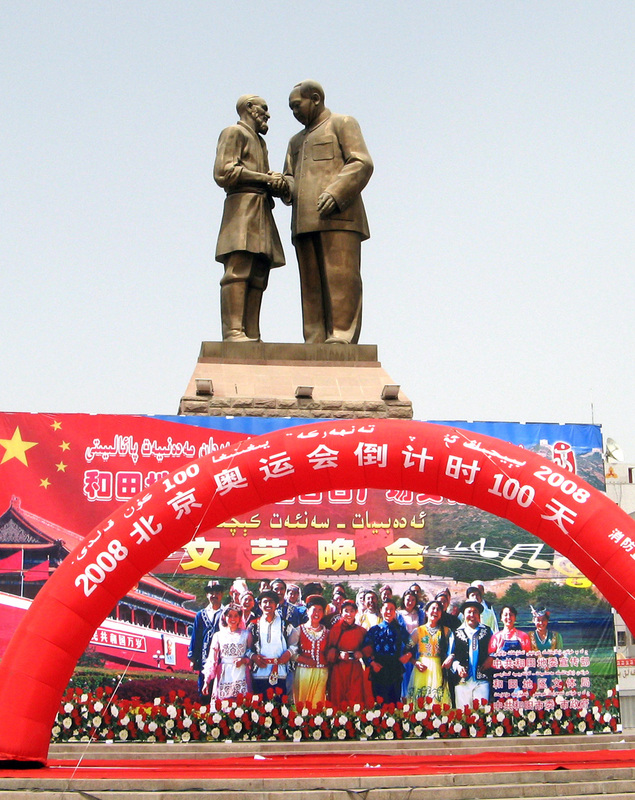 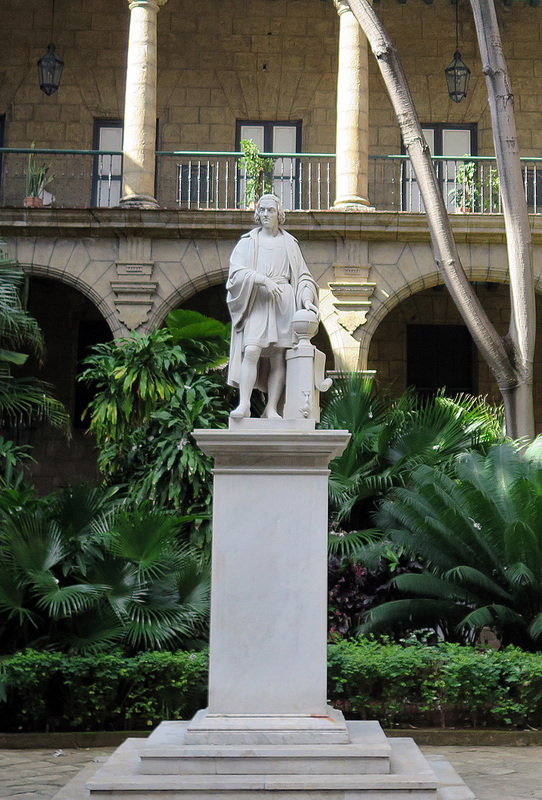 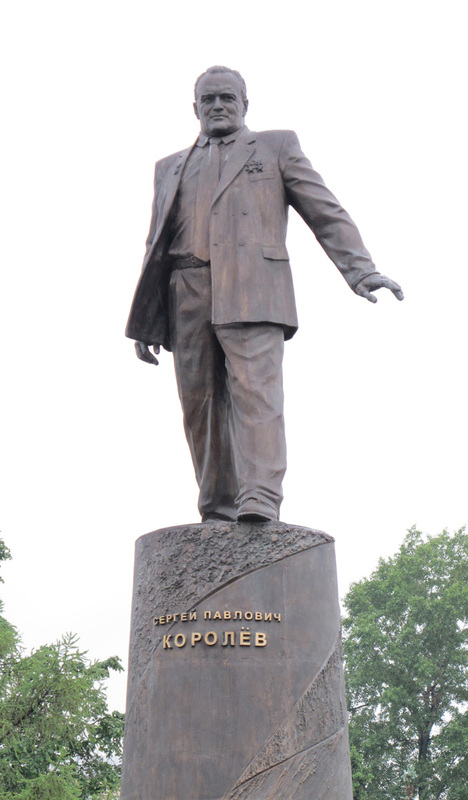 Going beyond my collections of Lenins and Stalins, I've started sampling other statuary. 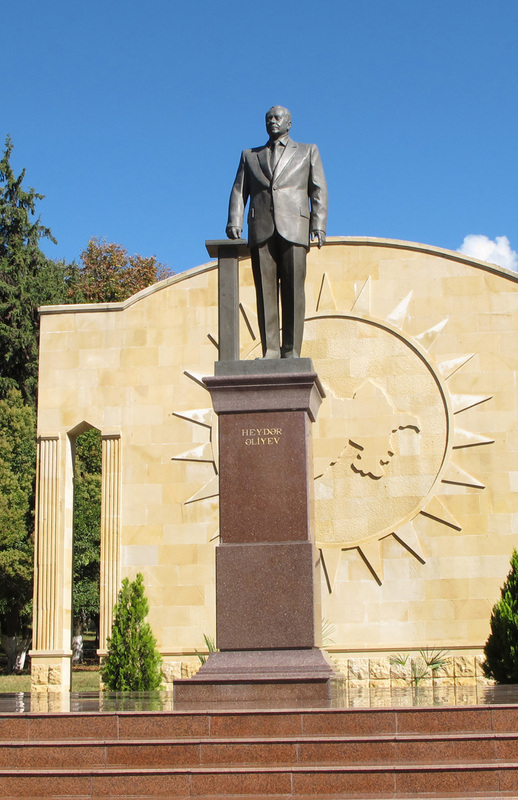 The wily Heydar Aliyev was in turn a KGB general, a Soviet Politburo member, a disgraced exile, and the driving force behind modern Azerbaijan. 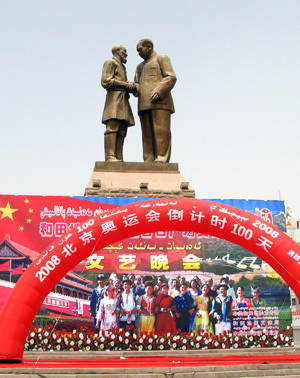 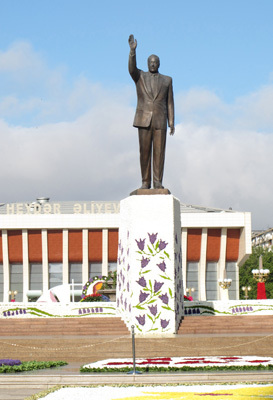 Decorated for a garden festival. 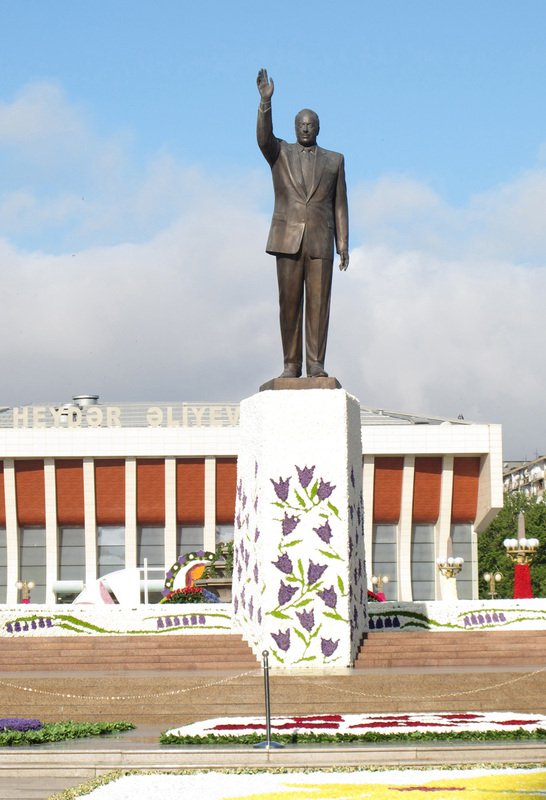 Just over the border from Nakhchivan. 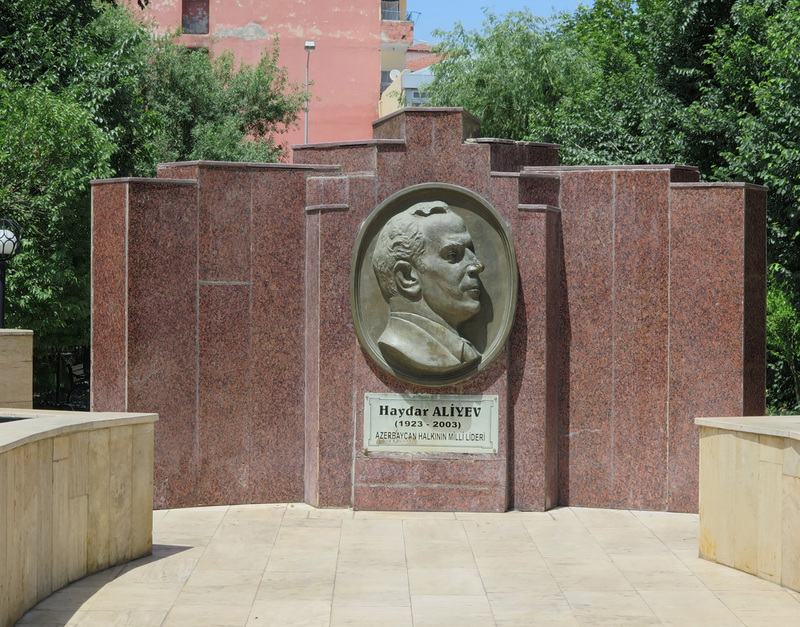 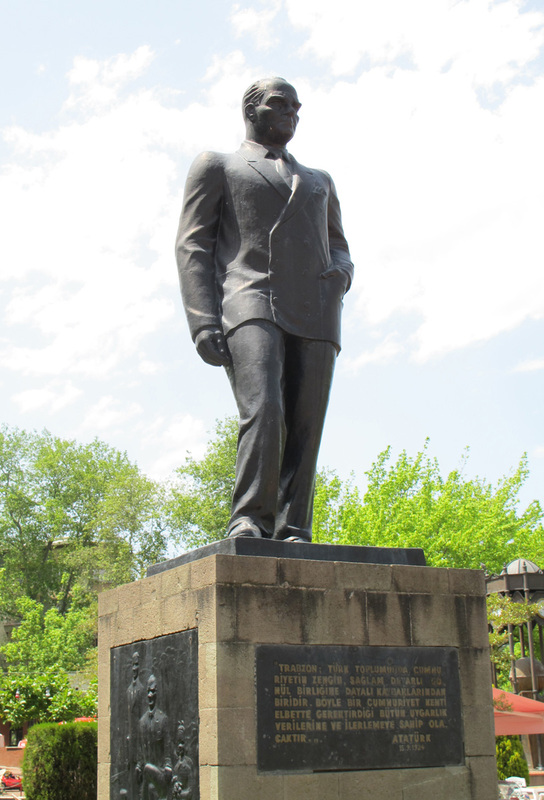 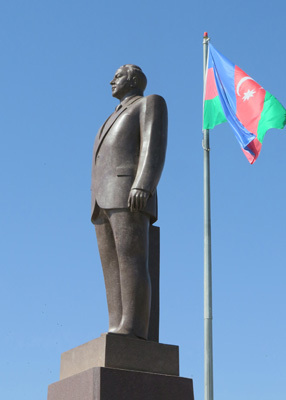 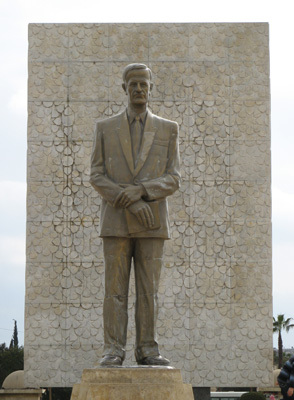 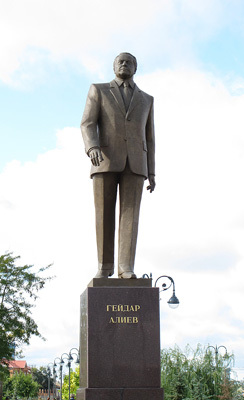 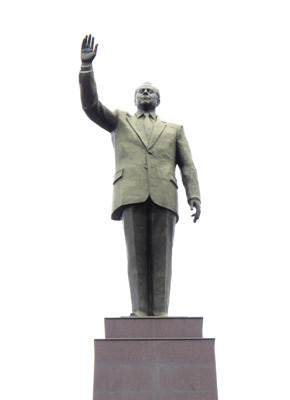 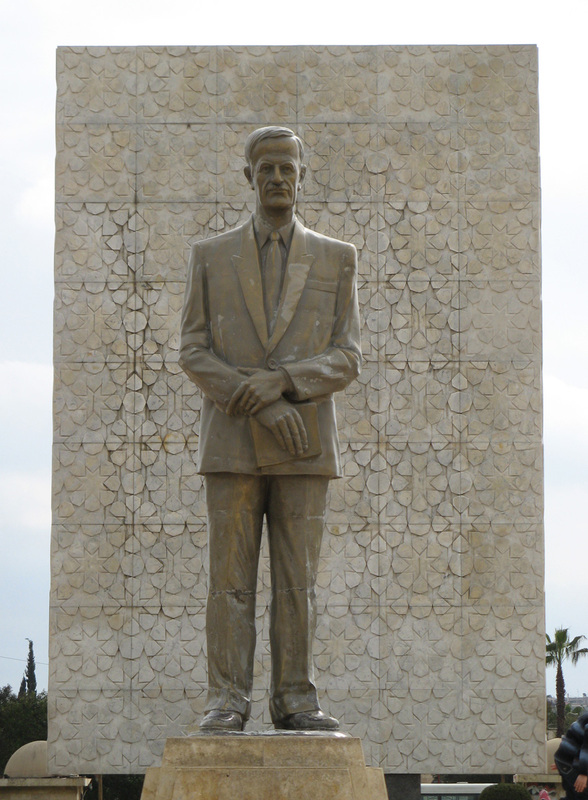 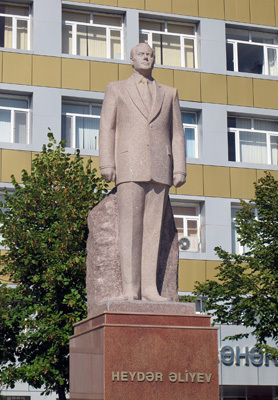 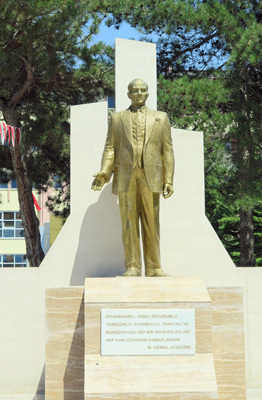 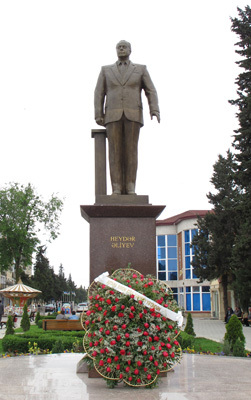 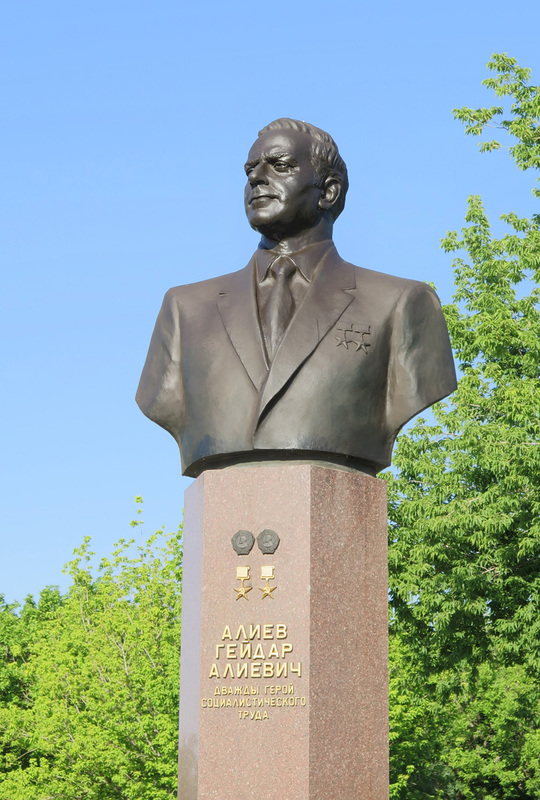 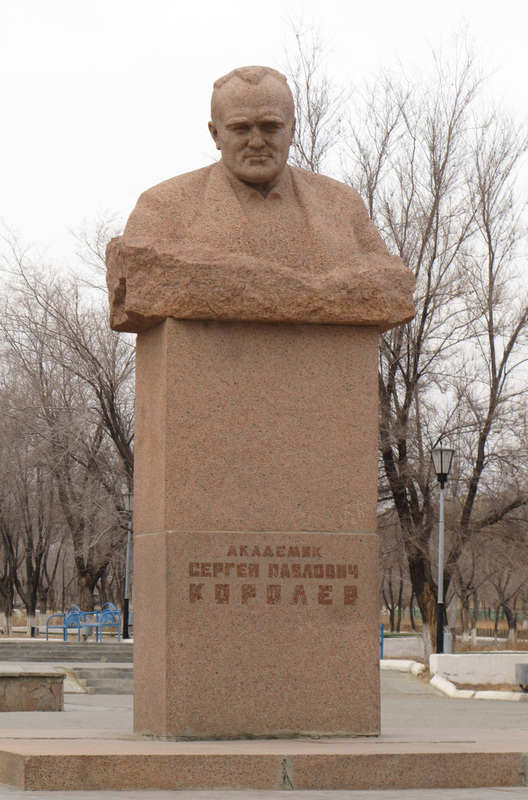 In his home town, outside the Heydar Aliyev Museum. 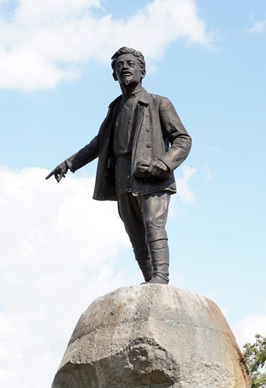 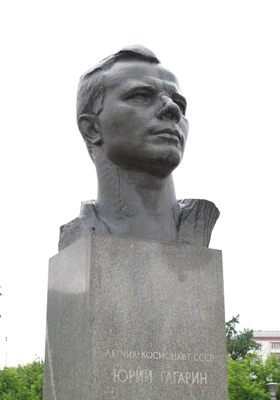 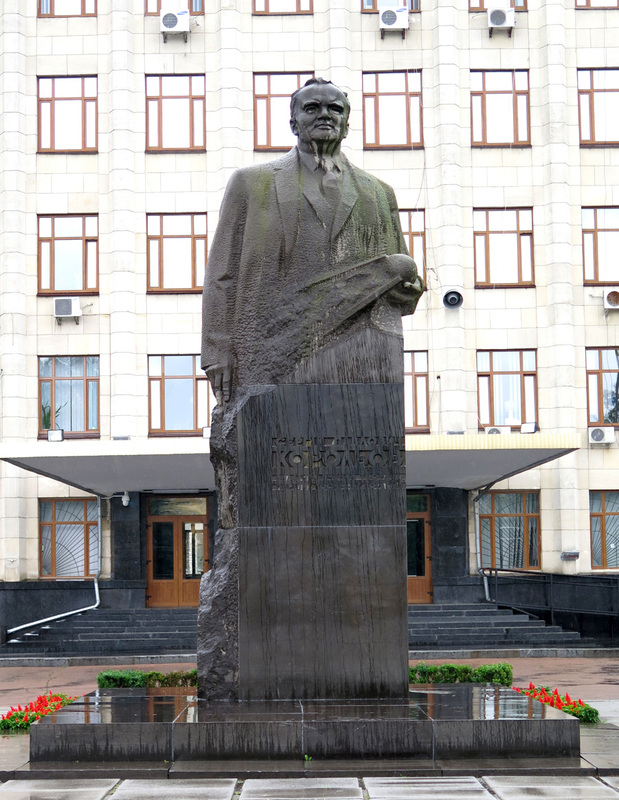 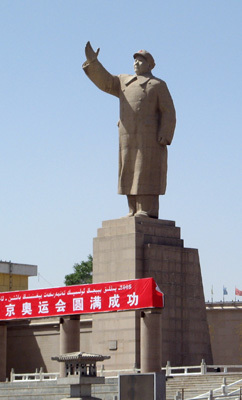 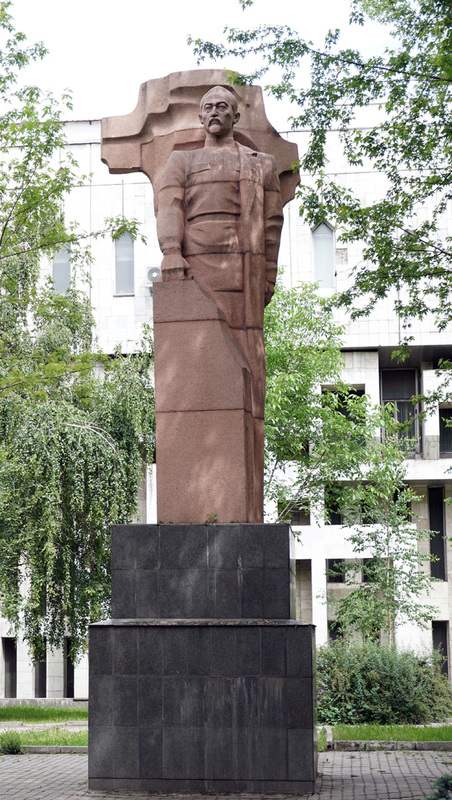 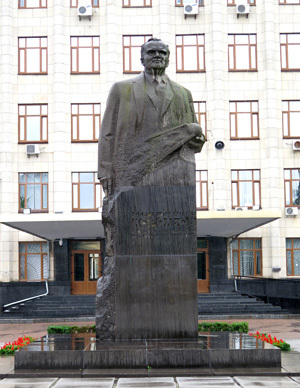 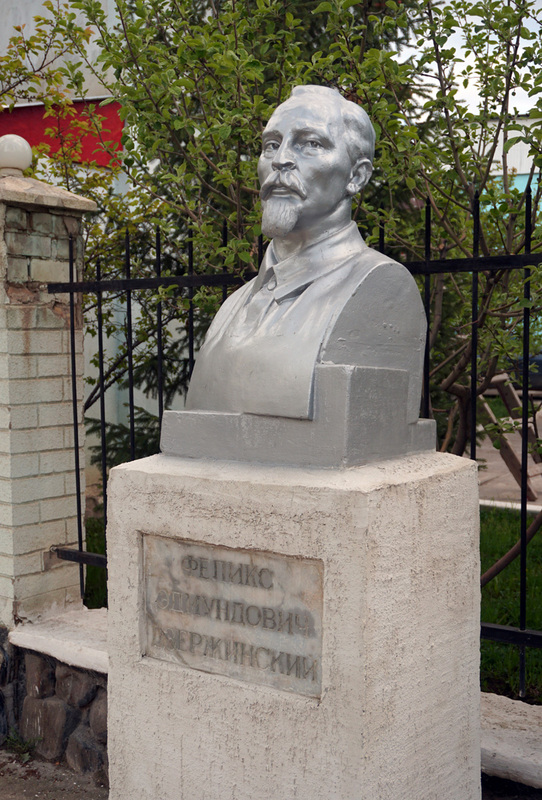 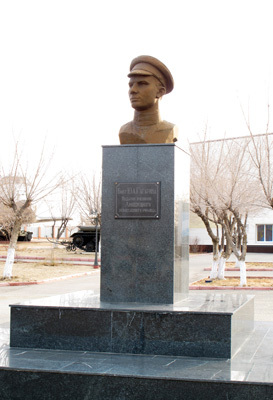 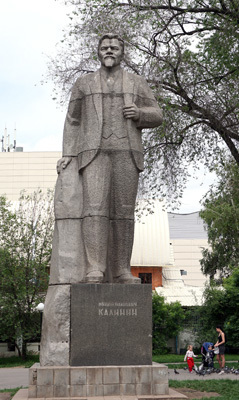 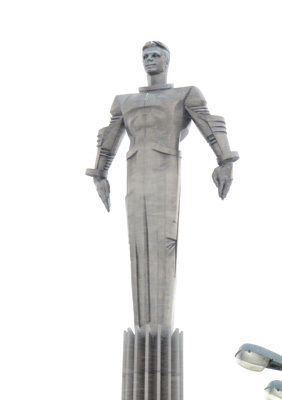 Shown as a hero of the Soviet Union. 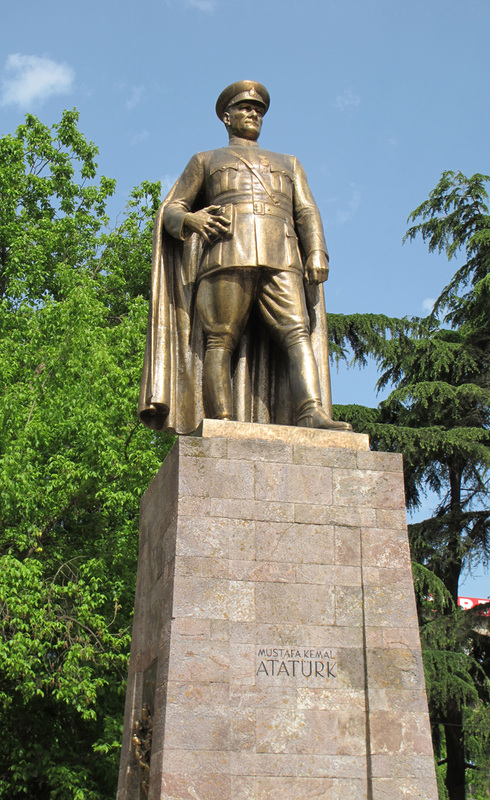 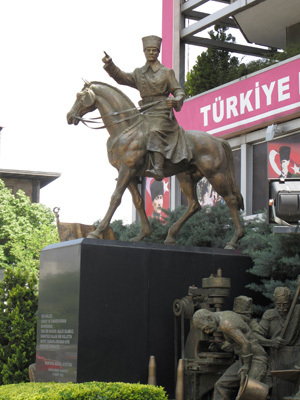 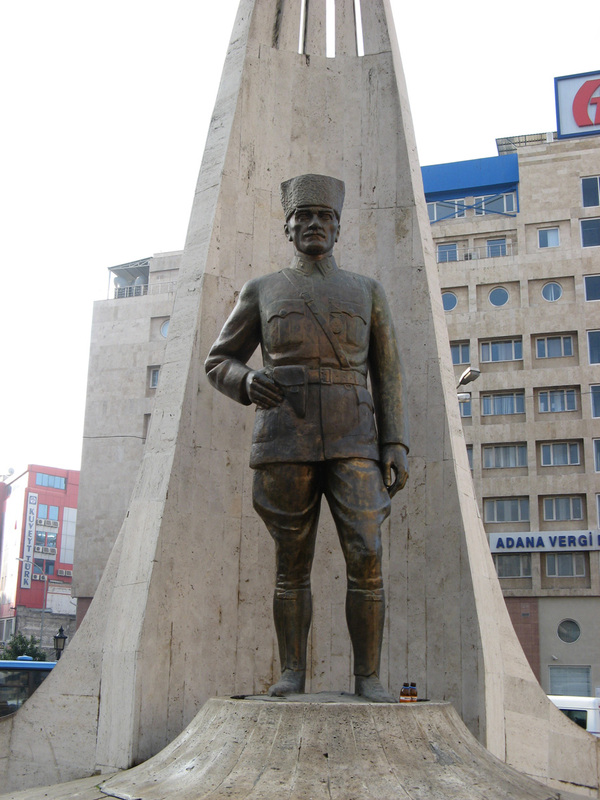 Mustafa Kemal Ataturk, the father of modern Turkey. 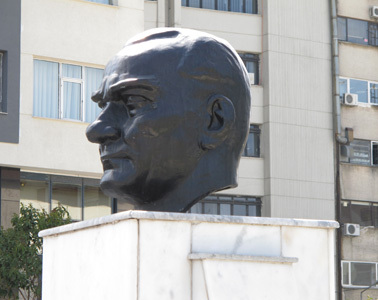 A striking, well executed, giant head. 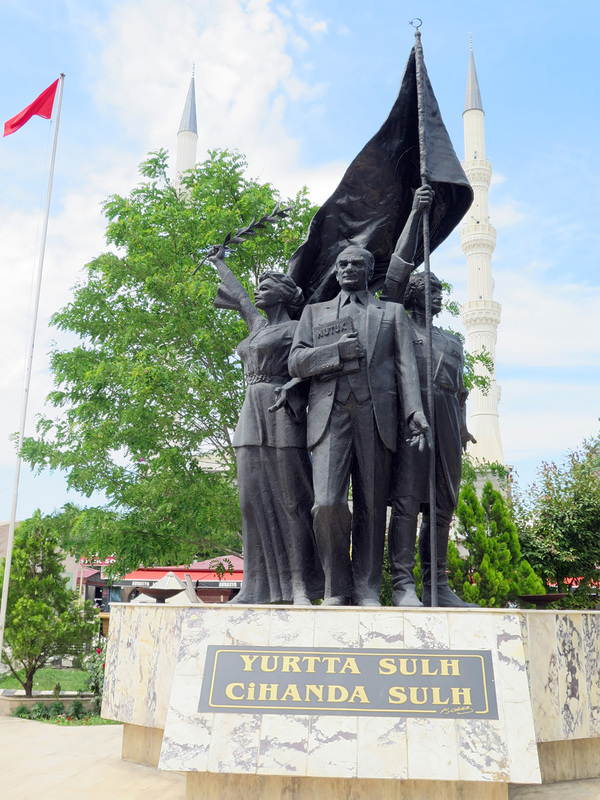 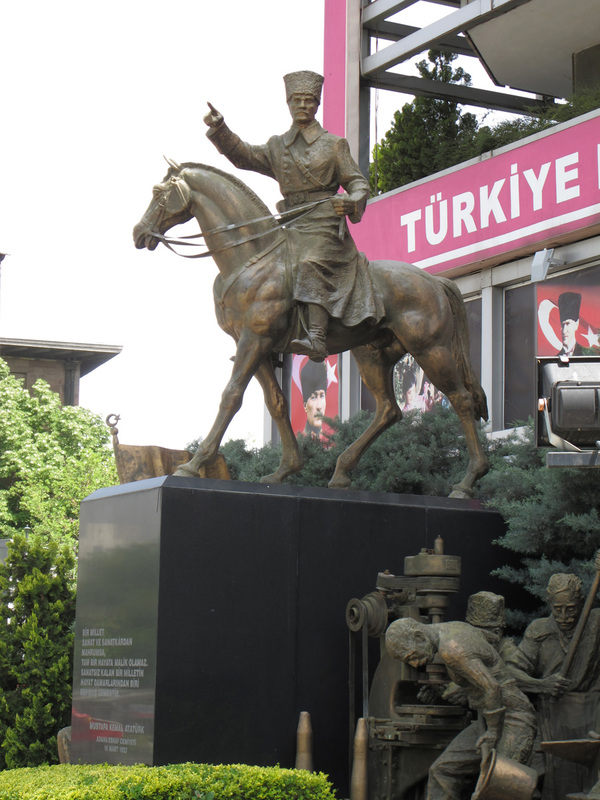 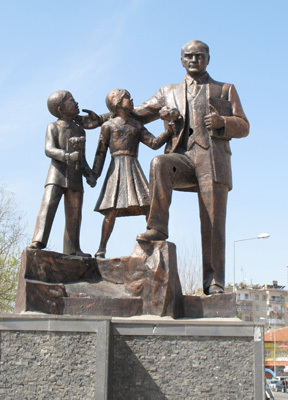 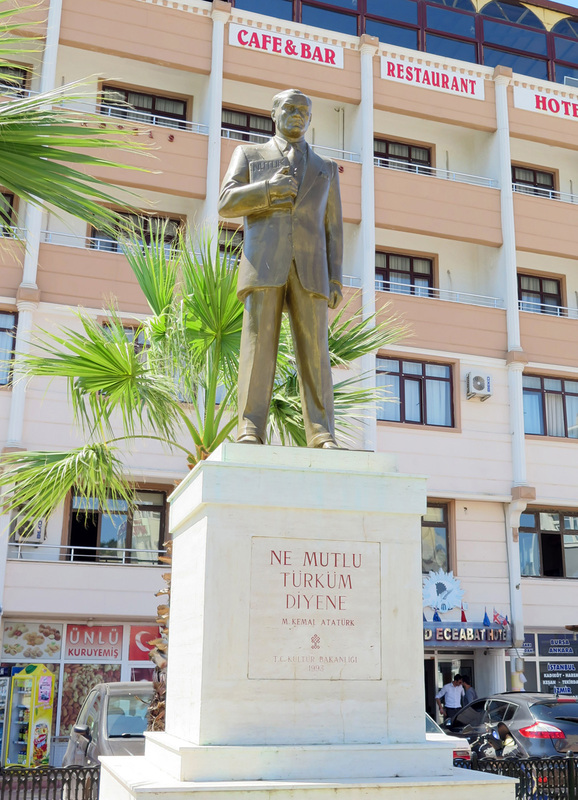 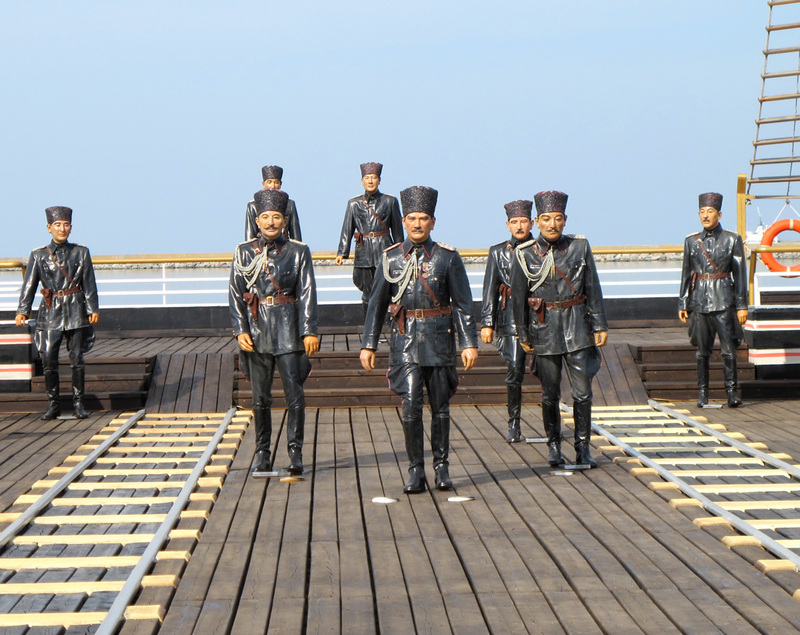 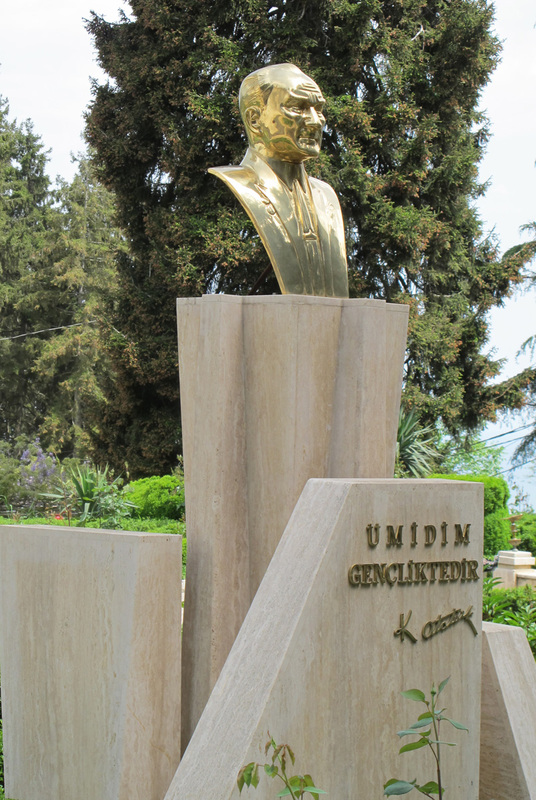 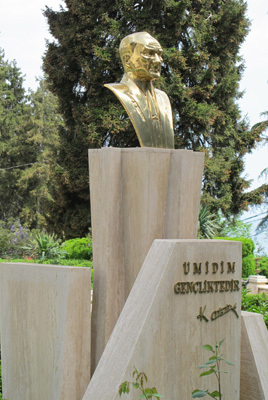 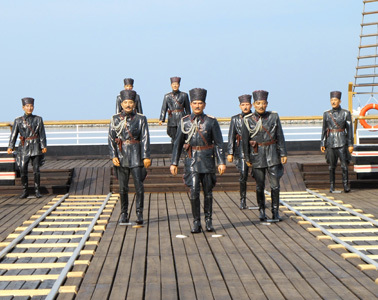 Commemorating Mustafa Kemal's landing in 1919 to launch his national movement. On a very rainy day, unfortunately. 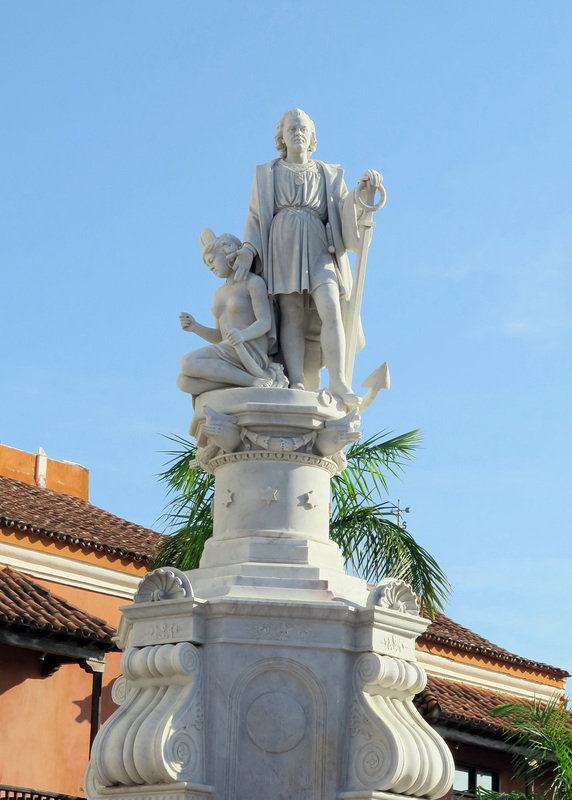 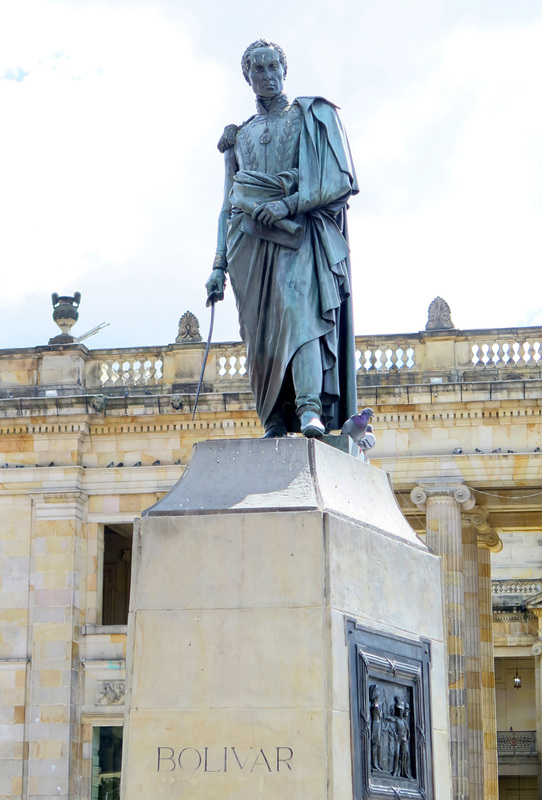 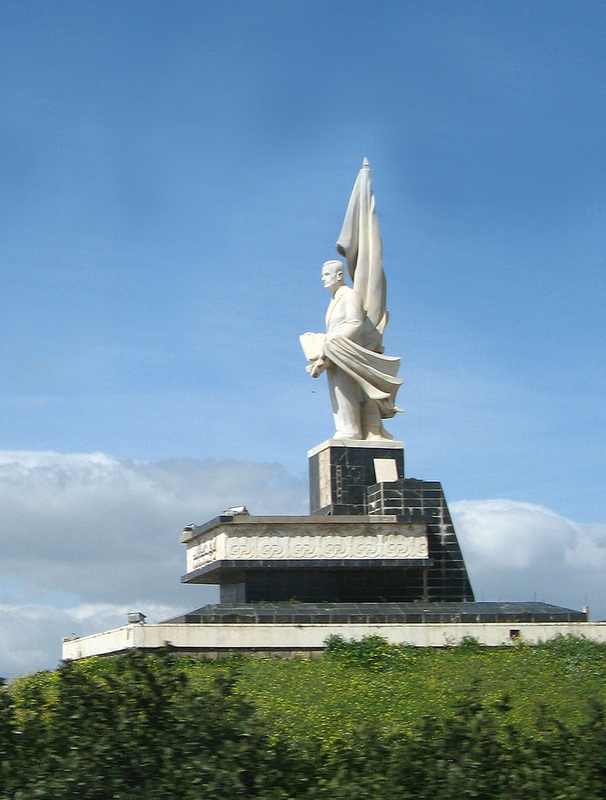 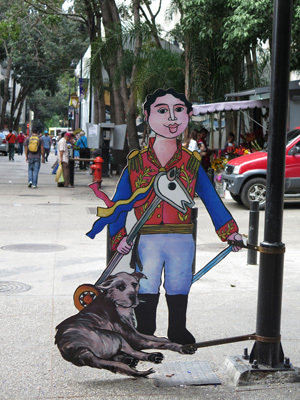 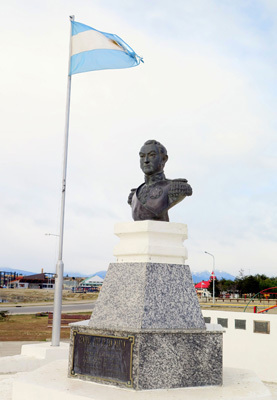 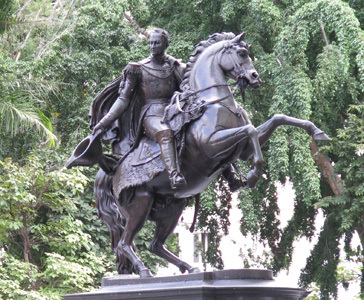 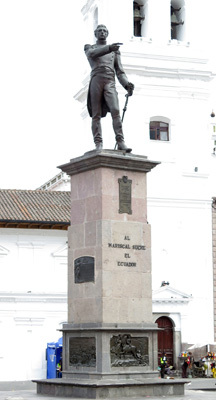 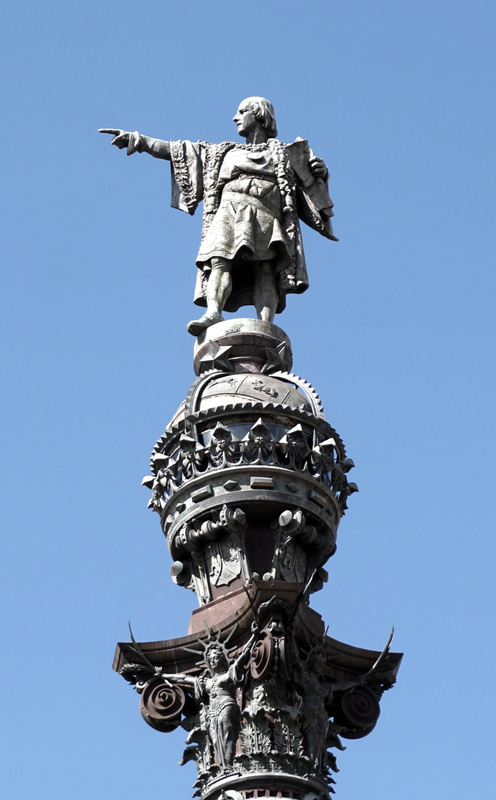 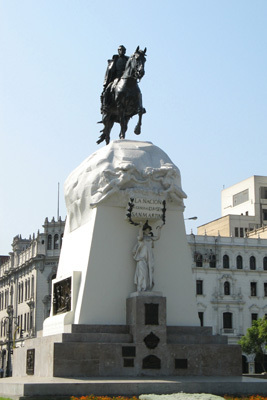 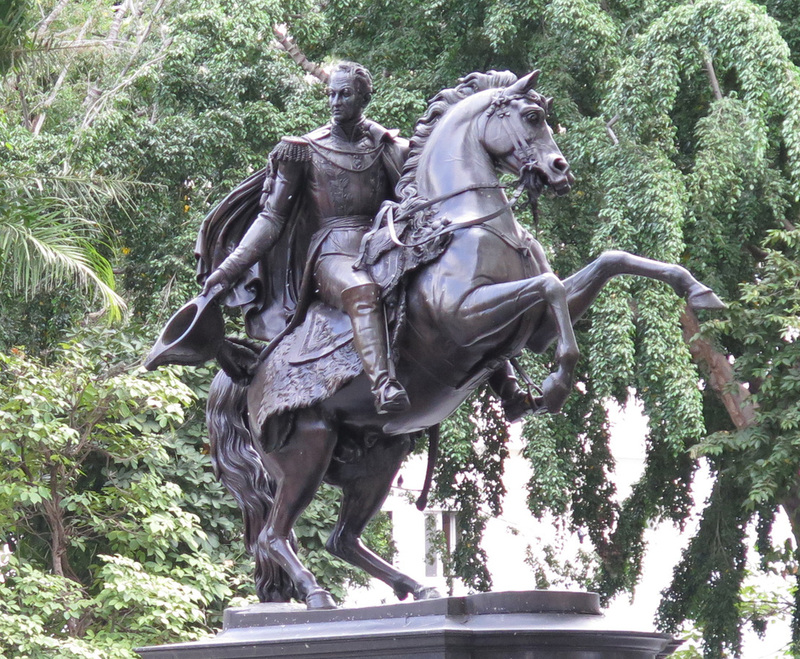 Cardboard figure of child as Bolivar. Apparently part of New Year decorations. 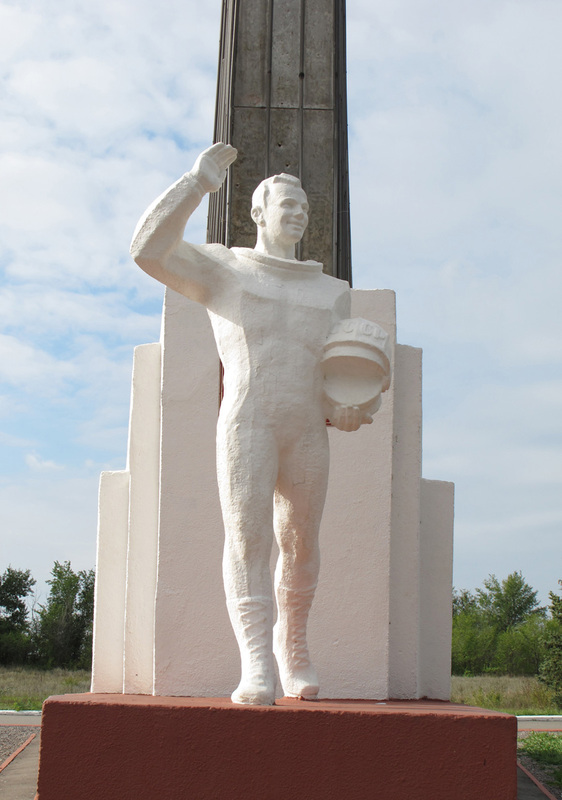 The great Yuri Gagarin, the First Cosmonaut. At the Vostok-1 landing monument. 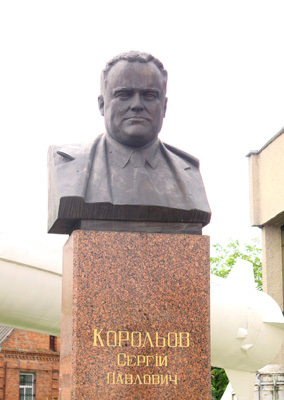 The demigod Sergei Korolev, the Chief Designer of the Soviet space program. 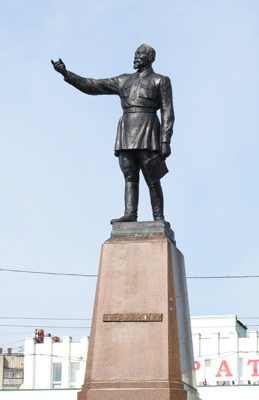 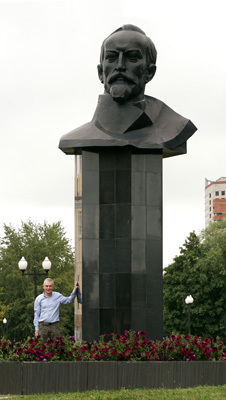 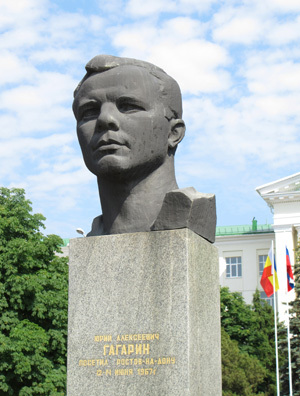 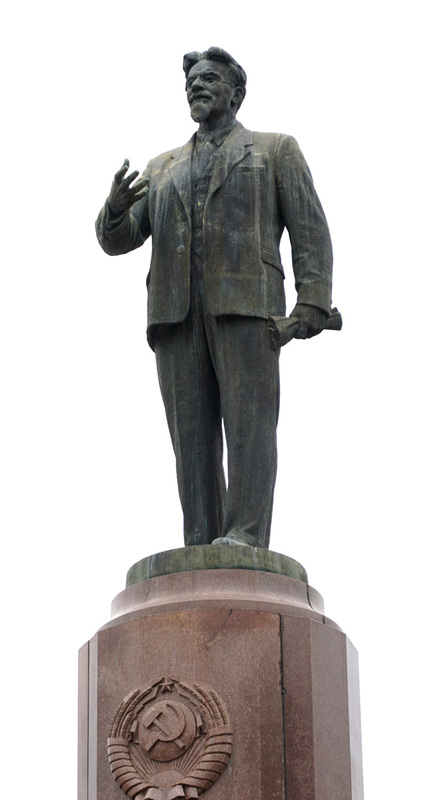 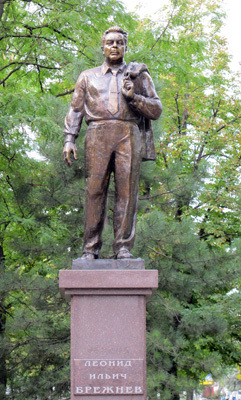 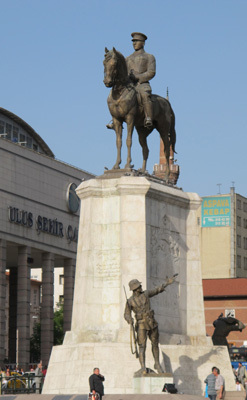 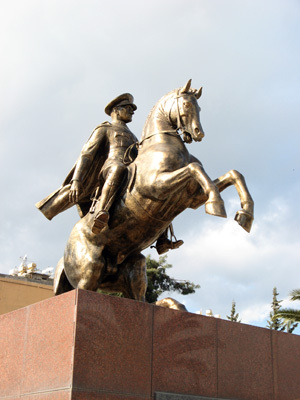 On Korolov Square, in his birth city. 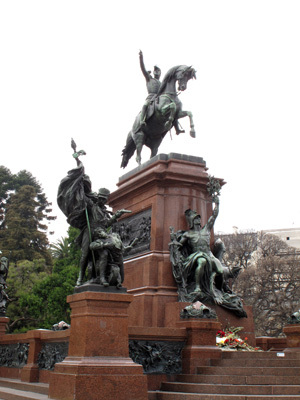 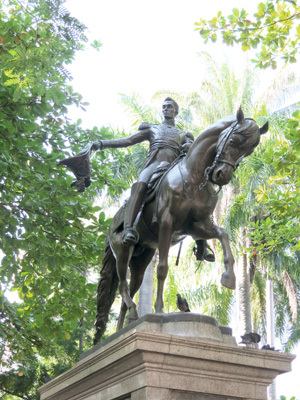 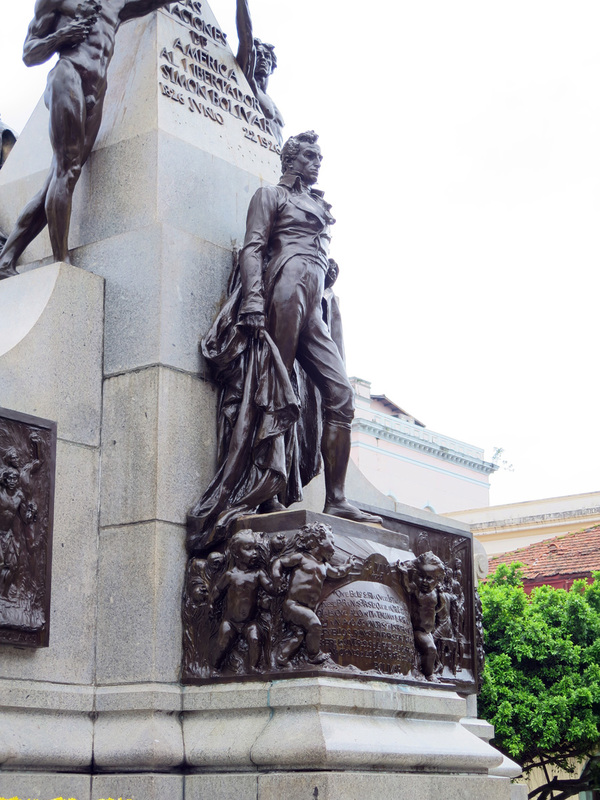 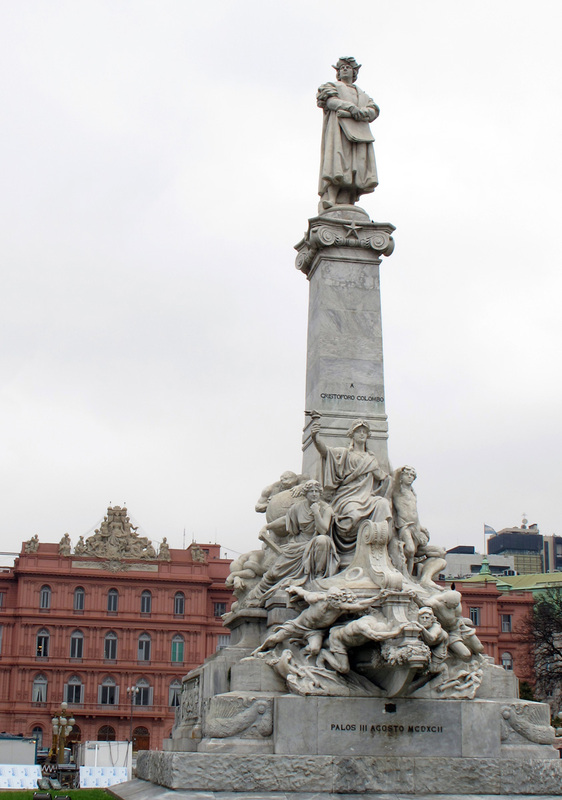 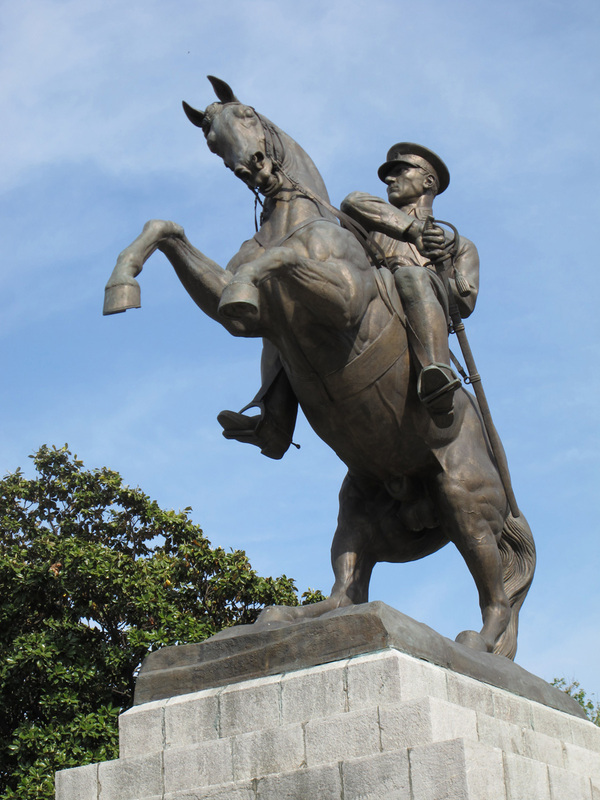 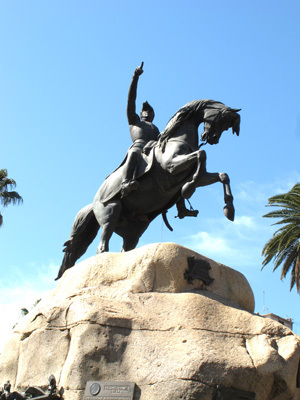 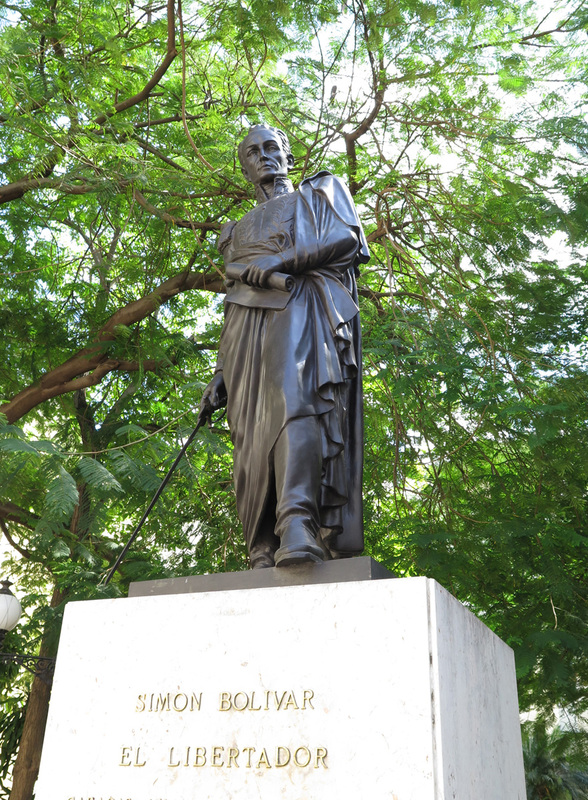 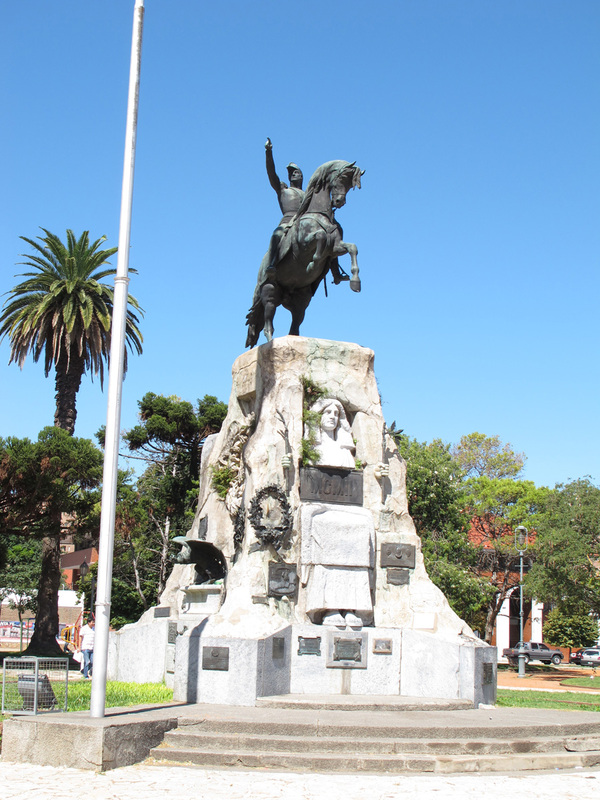 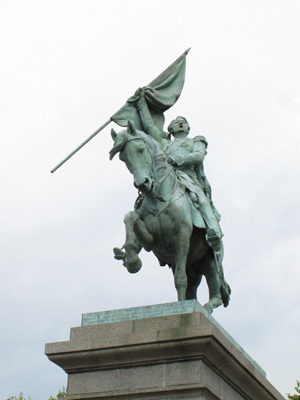 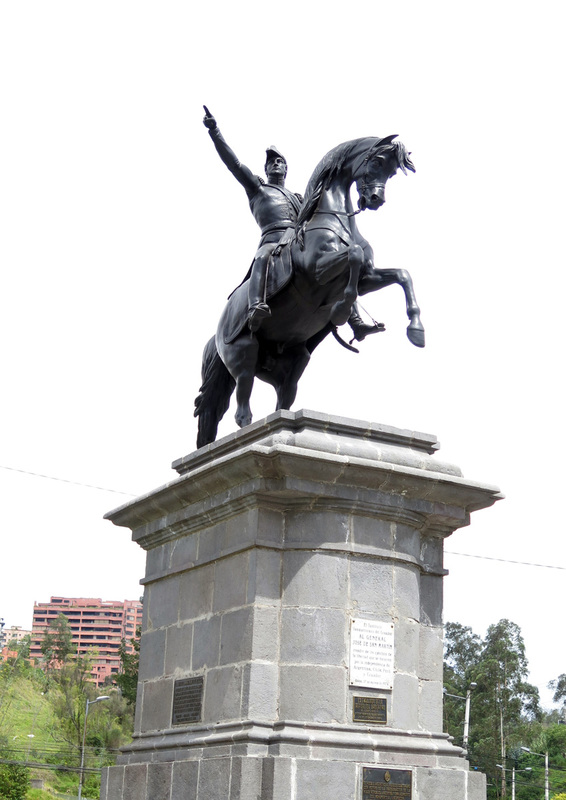 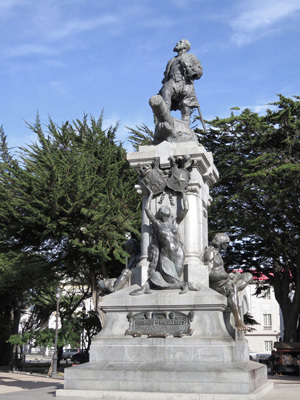 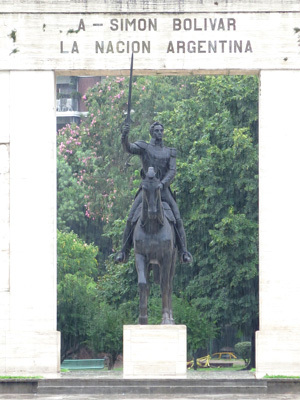 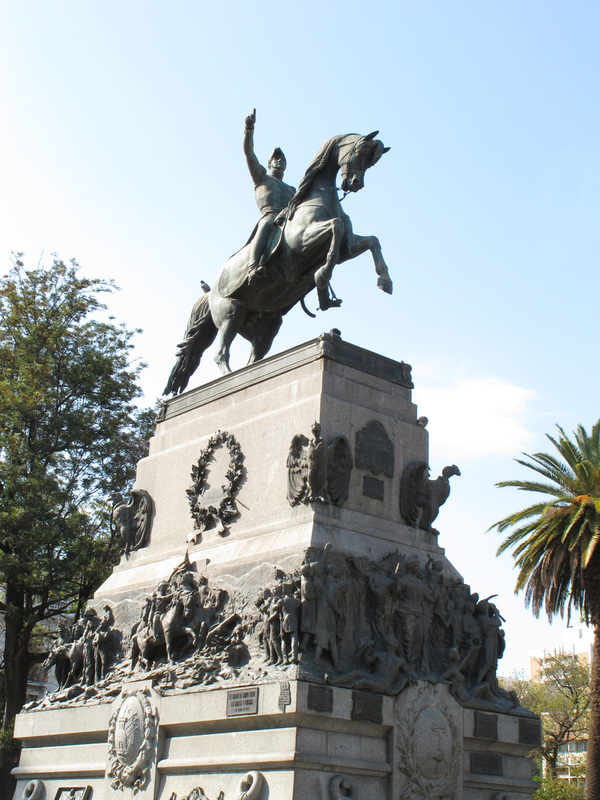 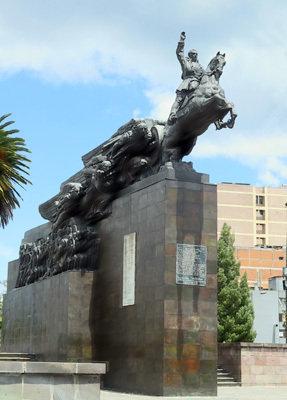 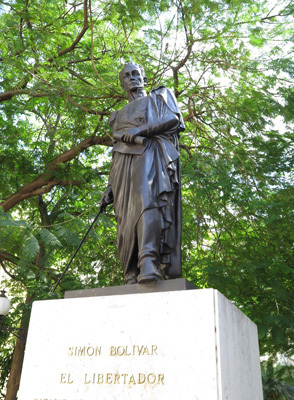 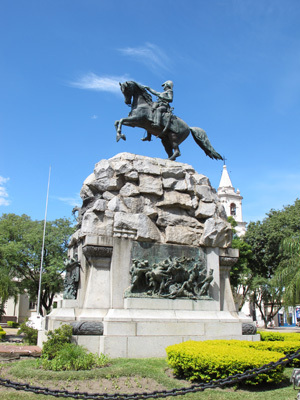 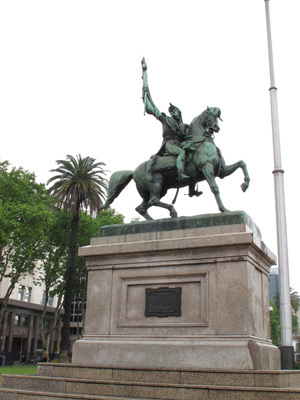 The Argentinian national hero and South American Liberator, Jos� de San Mart�n. I have a large collection of Lenins and a smaller one of Stalins, but outside of sculpture gardens (such as the Tretyakov), other Soviet leaders are hard to find. So I was pleased to find Leonid Brezhnev posing casually in Novorossiysk, but quite unnerved to find Felix Dzherzhinsky still menacing the station square in Saratov. 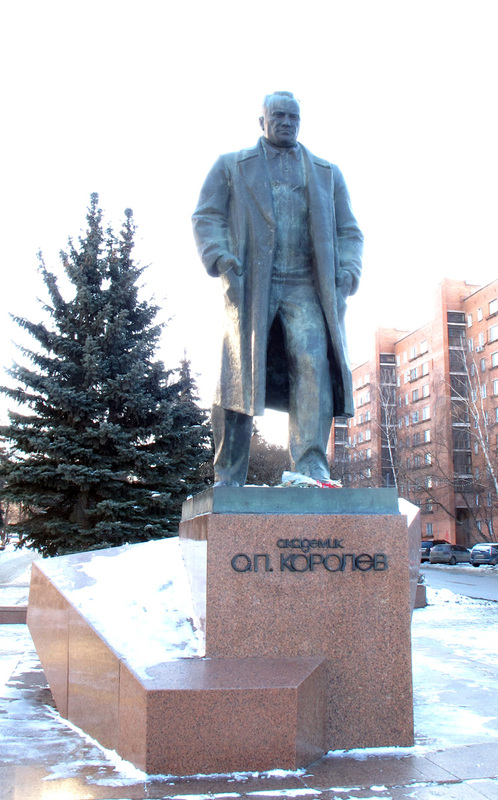 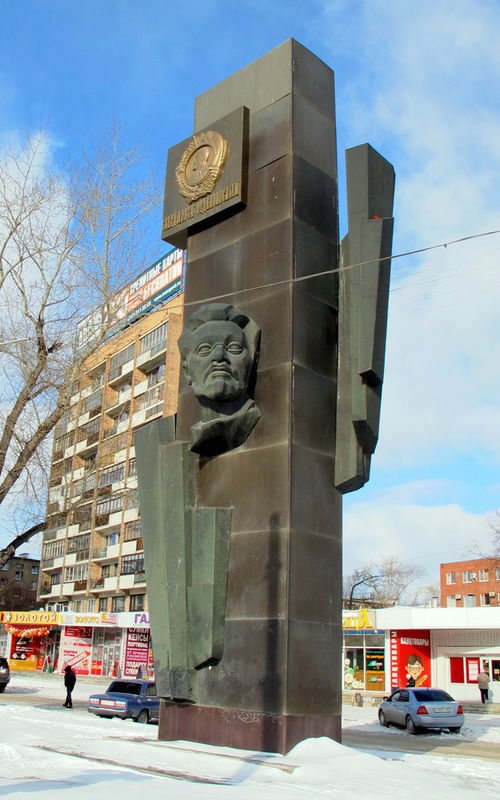 Ekaterinburg (from 1924-91 Sverdlovsk) still remembers Yakov Sverdlov. 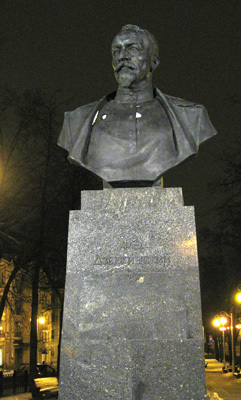 An enormous, sinister, black bust. 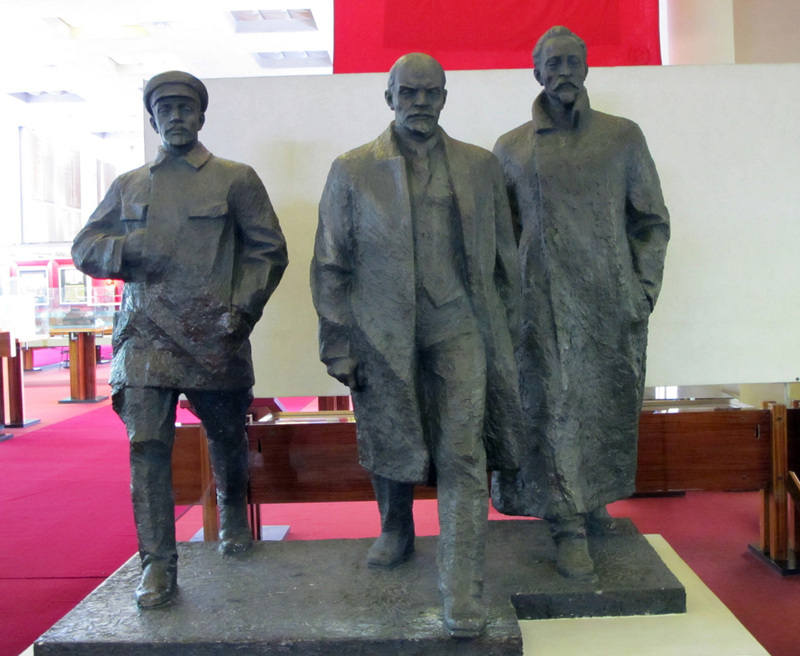 Lurking inside the Lenin Museum, in Lenin's hometown.